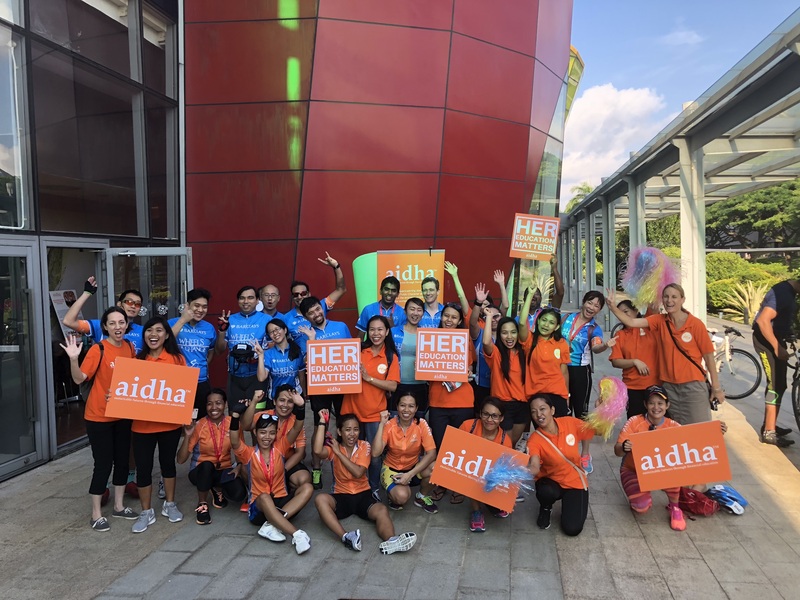 Aidha has entered a team of riders into the OCBC Cycle Singapore 2019, to raise awareness and funds for its life-changing financial education programmes for foreign domestic workers and other low income women in Singapore. Registrations for the ride are now closed, but you can still get involved! 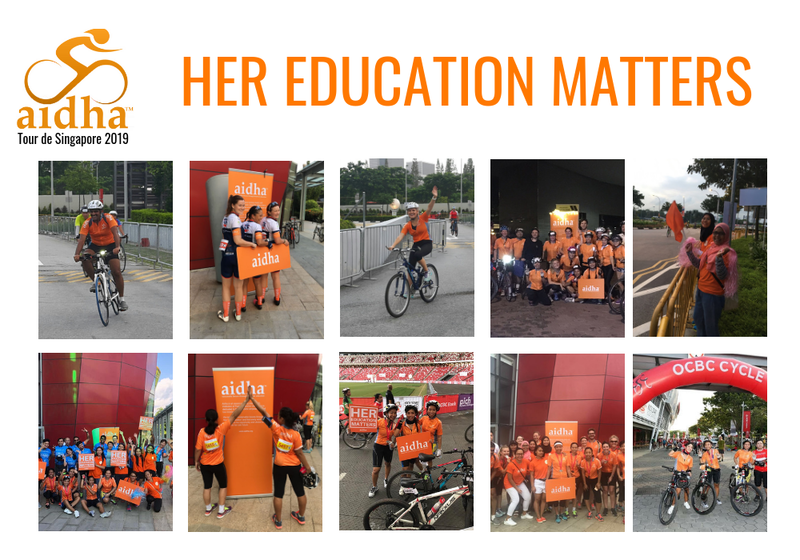 Please support our riders by sponsoring them to complete the 42km challenge ride and help us to empower more women! Help us to raise $30,000 to fund 300 scholarships. Give more women the chance of a financial education and empower them to build a brighter future. Donate now and support our riders! Change a life. Give the Gift of Education. There are nearly 250,000 foreign domestic workers (FDWs) living in Singapore. They have made the difficult decision to leave behind their children and family in hopes of creating a better future. While their remittances provide much needed financial support to their families, most women return home with little to no savings at the end of their contracts. 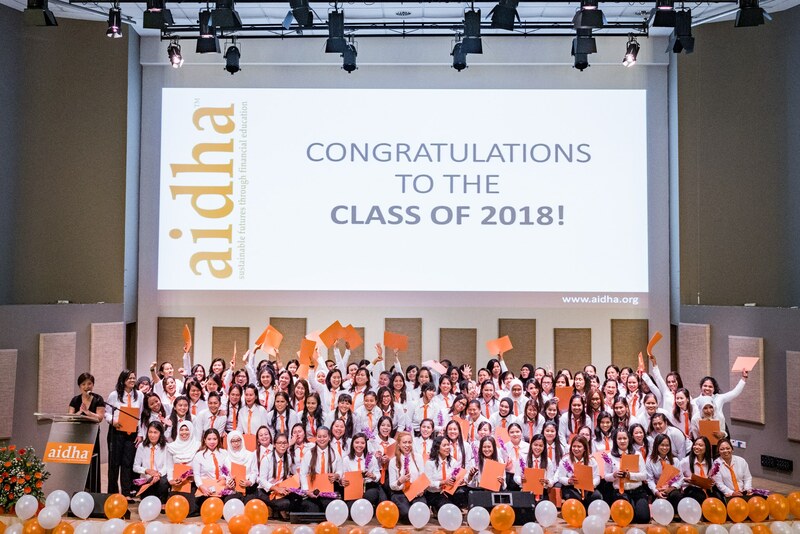 With your help, foreign domestic workers and lower income women in Singapore can learn the skills and confidence to save, invest and start businesses of their own through Aidha’s financial education programmes. They can take their first steps towards economic independence. Aidha’s life-changing programmes are only made possible thanks to the support of generous donors. And that’s why we need your help! 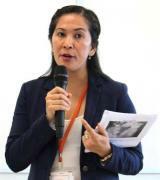 Rhea worked in a local government accounting department before coming to work in Singapore nine years ago, as a domestic helper. A mother of 3 children, she sought a better income to support her family back home. Keen to invest in something to give herself a sustainable income on her return home, she signed up with Aidha, hoping to learn more about managing money and running a business. She graduated in 2017. Using the skills and confidence she gained at Aidha, she now has her own, thriving fish farm and has plans for expansion and diversification in the future. Aidha is an IPC (Institution of Public Character). It means for the Bike Ride is that any donation you make to Aidha will receive a tax deduction of 250%. So, for example, if you donate $100, you will be able to deduct $250 from your taxable income. Doing good will benefit both you and Aidha! Thank you so much for being part of the wonderful Aidha team! We hope you will take this opportunity to tell your friends and co-workers about our charity and invite them to sponsor you for your upcoming ride. You can create your own fundraising page, it’s very easy and it only takes a few minutes. You can do it from our Give Asia page here. We’ve put together a demo video and a handy Step-by-Step guide here with information and photos below that you can just copy and paste into your page, to help you get started quickly. Don’t forget to share it once it’s completed! Can you double your money? As part of their corporate social responsibility (CSR) programmes, many companies match fund their employee charity fundraising efforts. Do not hesitate to check with your employer. Aidha’s life changing programmes are only made possible thanks to the support of generous domors. THANK YOU again for being part of Team Aidha.